Police made one arrest in connection with the incident. Two council officers were allegedly punched and kicked by a "violent" and "aggressive" man who mistook them for bailiffs. The pair, who both work in Wakefield Council's enforcement team, were on duty probing a fly-tipping incident in the Five Towns area on January 4. 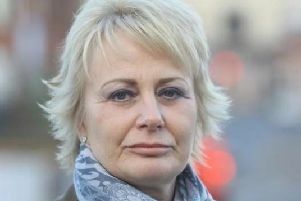 A report by Maureen Cummings, the council's portfolio holder for communities, said that the alleged victims were approached by a "riled and extremely aggressive passer-by" who mistakenly thought they were debt collectors wanting to take possessions away from the property. Despite the officers trying to calm the situation, the passer-by turned violent "almost immediately", Coun Cummings said. When one of the officers tried to call the police, he was punched in the eye, causing it to bleed. When his colleague tried to intervene, he was kicked several times in the ribs. Both officers sustained further injuries in the scuffle that followed and had to be treated at Pinderfields Hospital's Accident and Emergency department. Three weeks after the incident they remain unable to work. Coun Cummings said that both men were treated for their injuries, but remain off work. Giving a full account of the incident to other councillors, Coun Cummings said: "Recently two staff members of staff were attacked whilst carrying out their jobs. "They are both currently out of action. A full investigation has commenced. "I'm sure you will join me in thanking them for their dedication to duty and wish them a speedy recovery." A suspect was arrested in connection with the alleged attack, but no charges have yet been brought.